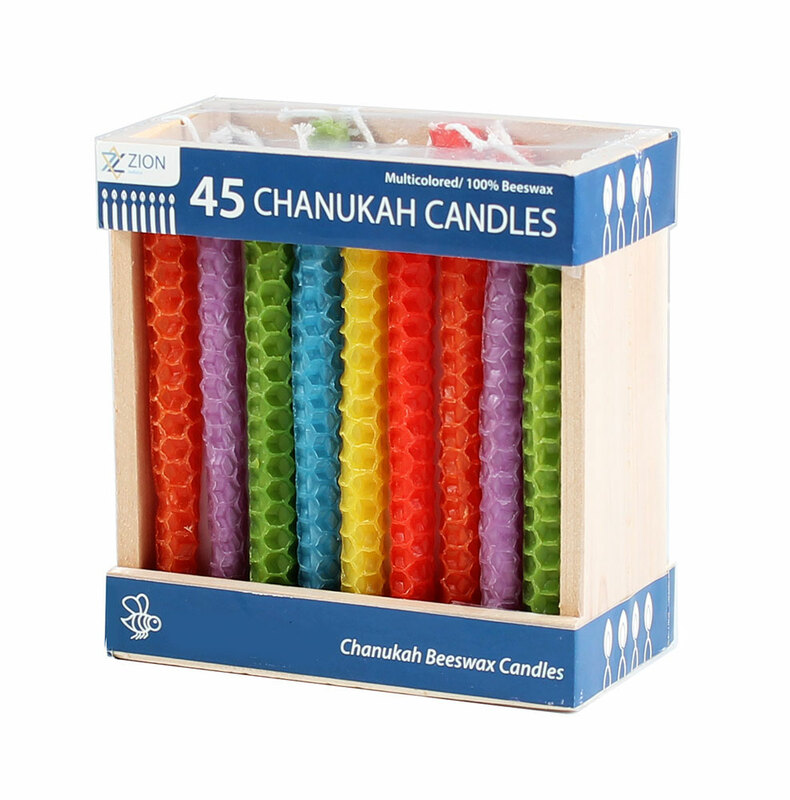 Festive colorful Hanukkah honeycomb beeswax candles. Very new original colors that will add much beauty and excitement to your Candle lighting. Made of pure beeswax and embossed n' rolled by hand. Enjoy the honey sweet aroma and natural purity of beeswax. 45 Candles in a wooden crate. 4" tall.